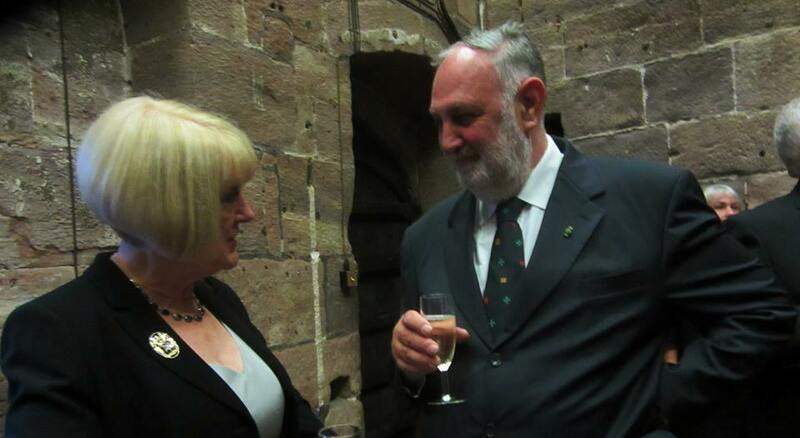 the Grand Master and Chevalier William Hacket. 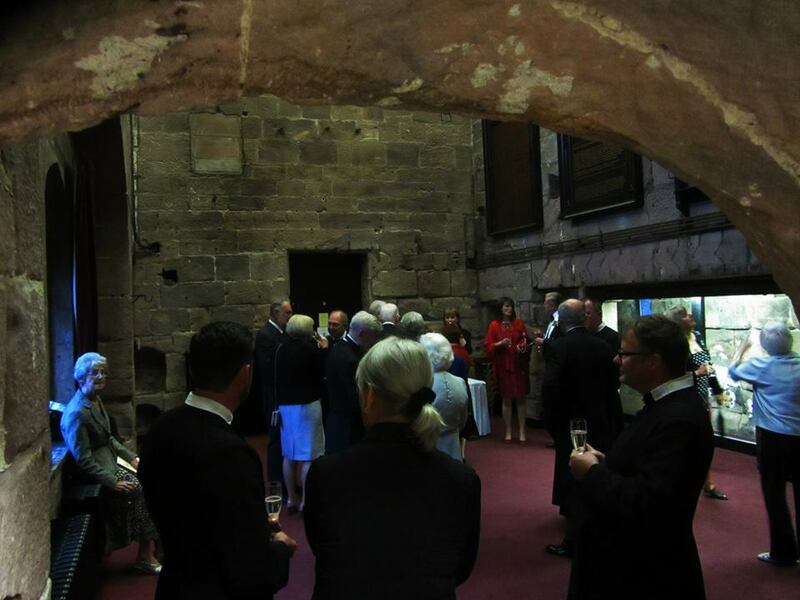 Members of the Grand Priory of Great Britain gathered in Manchester recently for the Vigil and Investiture of new members. The Vigil took place in the Church of St Chad, the home of the Oratorian Community in Manchester. The Order is very appreciative of the hospitable welcome we received in the great tradition of St Philip Neri. The Vigil took place in the meditative side chapel of the church. 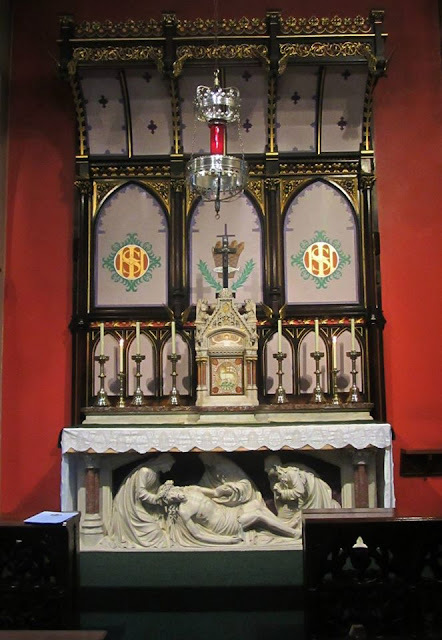 The altar relief depicts Our Lord being laid in the tomb. 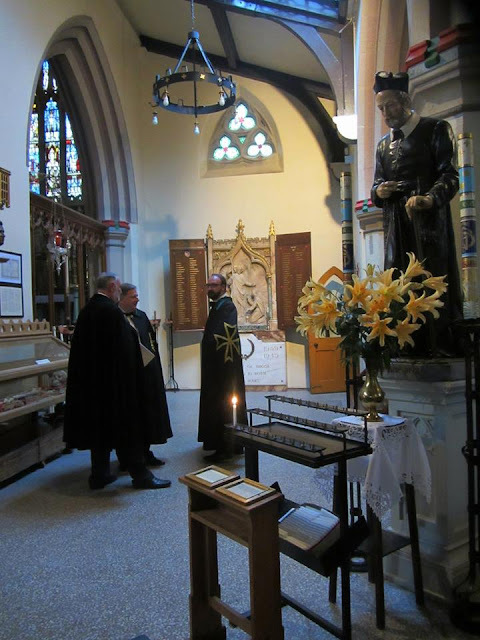 St Philip Neri watches over the preparations. 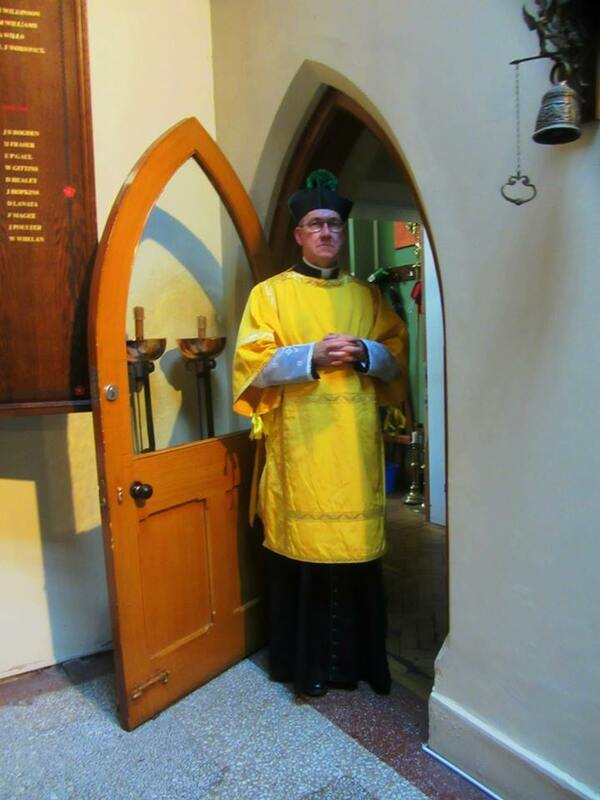 The Chancellor, Fr Mark Lawler, keeping a watchful eye on the preparations. 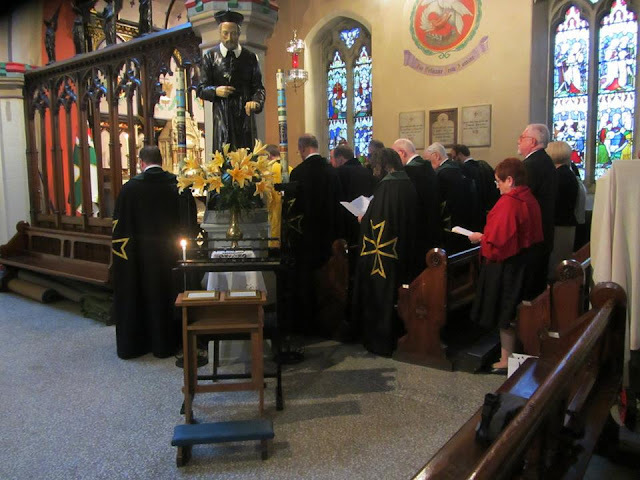 Members sing the Veni Creator Spiritus. 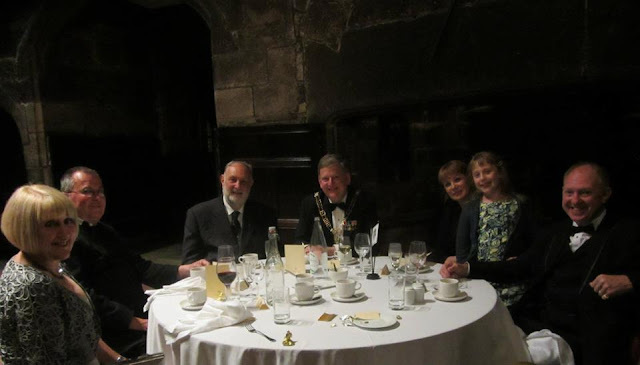 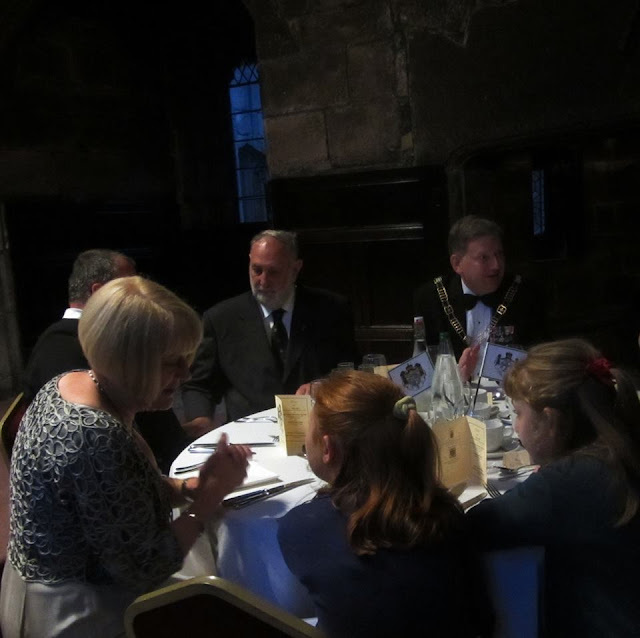 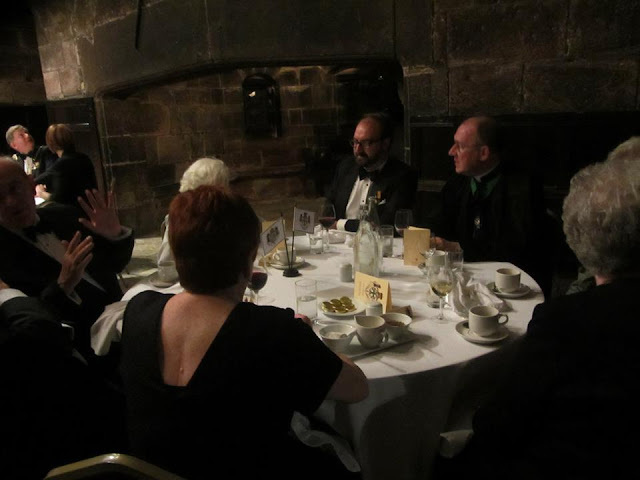 After the Church Service, members and friends adjourned to the nearby Chetham's School of Music for a drinks reception, followed by a dinner in the splendid setting of the 15th century Baronial Hall. 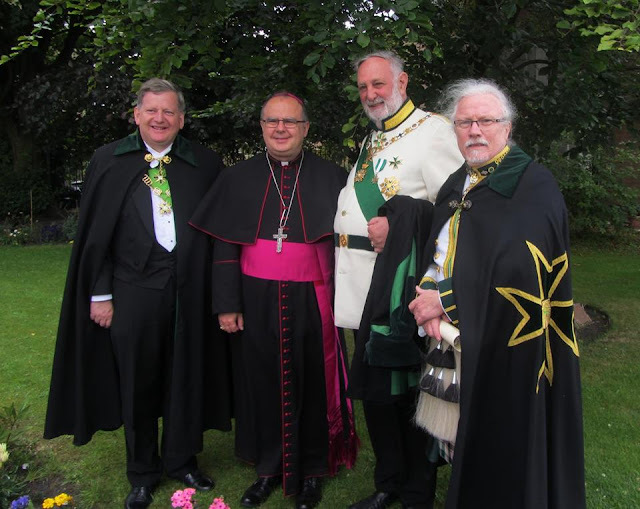 We were delighted to welcome the Grand Master, HE Jan Count Dobrzenský z Dobrzenicz, who flew in from his home in the Czech Republic. 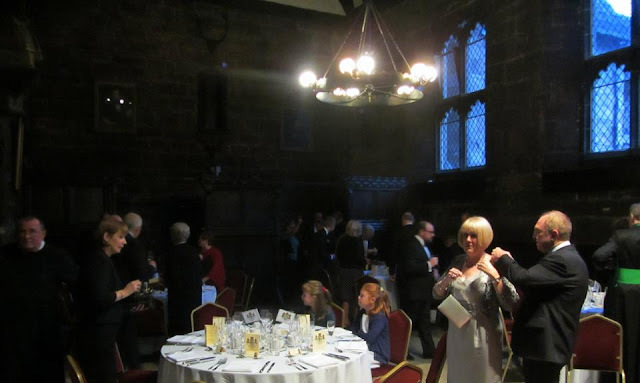 A bit of a melee while members find their seats in the Baronial Hall! 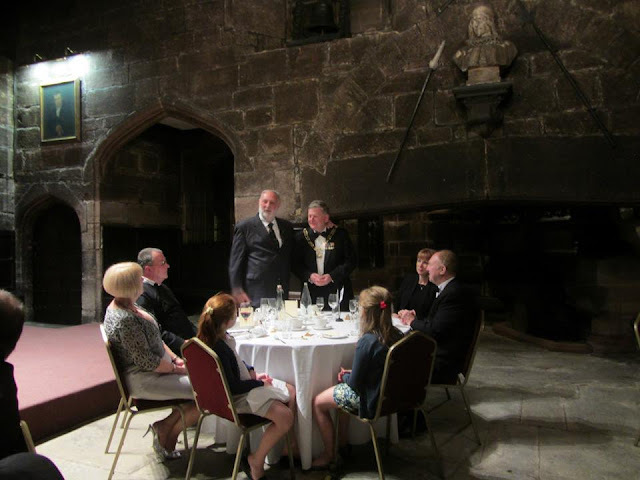 The Grand Master and the Grand Prior of Great Britain in front of the suitably grand fire place! With another of the Postulants, the Baron of Graigmillar and his wife. 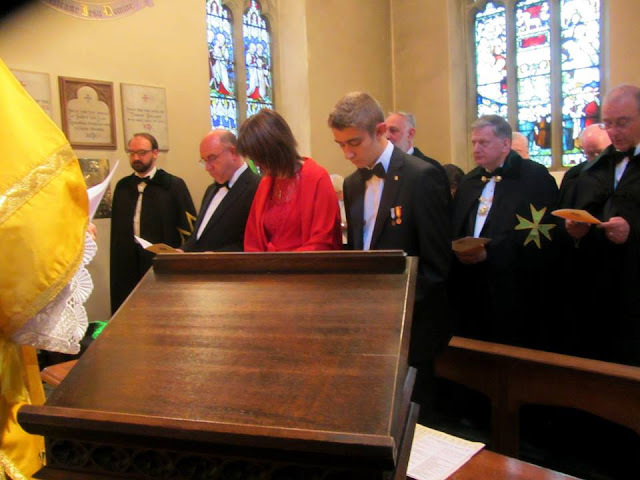 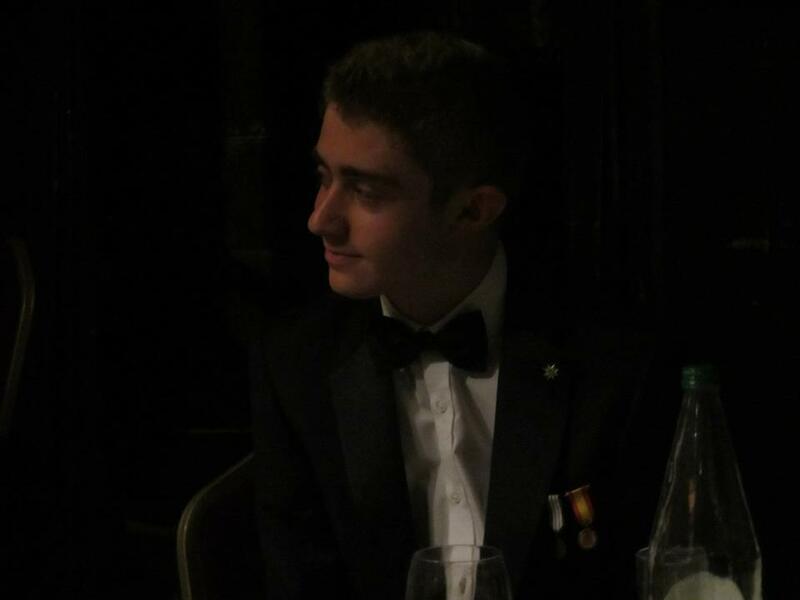 To become our youngest new member, Postulant Michael Sterland.